If you've been paying attention, you've noticed that GA vehicles are getting more and more powerful and at the same time are getting better and better fuel economy . Much of that's because of better transmissions. To get a understanding of why that is, let's turn to gear experts – Tifton bicyclists. A cyclist's cadence is the number of times per minute he or she pedals. Their ideal pedal speed is the zone where they can most efficiently generate power over a sustained period of time. The experienced cyclist uses his gears to keep his pedal speed in the ideal zone whether he's climbing a steep Brookfield hill, cruising on a flat stretch or killing a downhill. Like a cyclist, every vehicle engine has an ideal engine speed called its power band. When an engine is running in that zone, it can make power very efficiently. It's the transmission's job to keep the engine in the power band over a wide range of operating conditions. 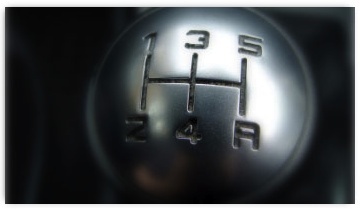 Today 5 or 6 speed automatic transmissions are pretty much the minimum in GA, and 7 and 8 speeds are fairly common. All have a recommended service interval for changing your old, contaminated transmission fluid. Getting transmission service on schedule at Grimes Auto Service in Tifton keeps it operating at its best and can prevent damage. Ask your friendly and knowledgeable Grimes Auto Service service advisor if it's time for of your transmission.